DBS Online Salary Transfer. Bank file upload. We'll run through how to submit your DBS bank file for GIRO payout via the IDEAL online business banking portal. What is a bank file? A bank file is a .txt file that contains the encoded salary payment details for each employee with a bank account. Here's an example of the file name when created - bank_file14092963432.txt. 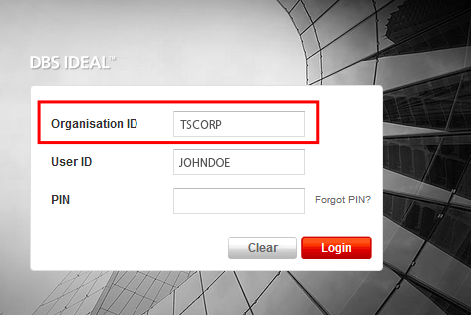 After exporting the file from Talenox (choose Bank File GIRO), log in to your DBS IDEAL portal. Note: For Hong Kong users, please choose "UFF" for File Format in slide 4. The rest of the steps are the same. Download the IDEAL 3.0 Maintenance Form. Fill up section 2 on 3rd Page. Tick “Access this service” for section 2b. Fill up the Authoriser’s name, date, and sign accordingly. Submit the form at a DBS branch for processing. 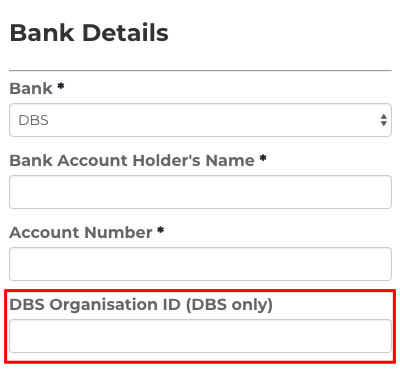 Before exporting the bank file after processing your payroll, do remember to enter the DBS Organisation ID under Profiles > Company Details > Bank Details. How to obtain my DBS Organisation ID? If you are a DBS IDEAL new user, the DBS Organisation ID is issued to you in the Welcome Letter.